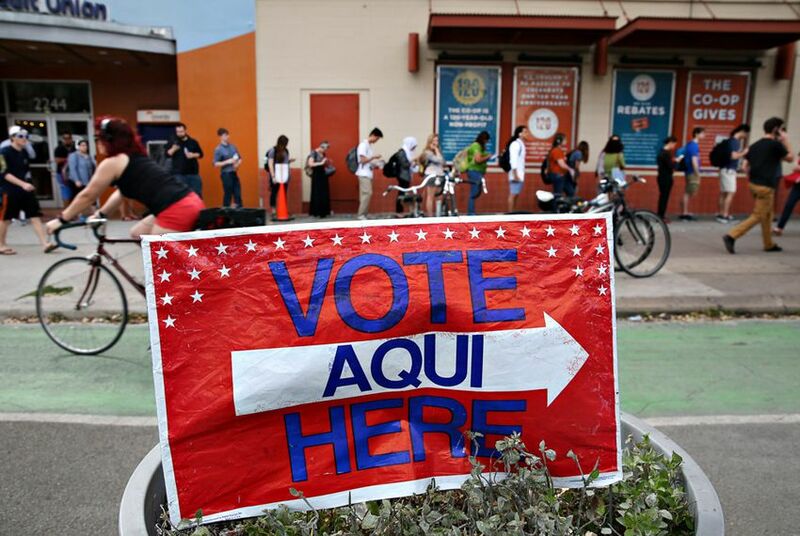 Before you blame voters for Texas' remarkably low election turnout, look at state law. If elections were run by a business, and if high voter turnout was a goal, wouldn't they be trying to make it easier to vote instead of harder? So don’t vote if you don’t want to. It’s your franchise, to do with as you will. Yours, that is, except when lawmakers impose regulations that make voting more difficult. A new poll suggests the leading Republican candidate is tied with the leading Democratic candidate in the presidential race in Texas. What if a Republican won the presidency while losing the state of Texas? Heck, what if a Republican lost the presidency while losing the state of Texas? Discuss. It’s both unofficial and traditional to call Labor Day the beginning of the intense action in a general election year, and it still carries a shred of truth. The slates are set. Summer vacations are over. This election is on. That big political race on the surface hides a very quiet state ballot down below. In fact, a surprising number of the members of the Legislature and of the Texas delegation to Congress face no major-party opposition in November.